The Festival Celebration Choir will hold a competition for current graduating High School Seniors in the Greater Capital District. A cash prize of $600.00 and an opportunity to perform at our May concert will be awarded to the winning applicant. Applicants should be attending college in the Fall and continue their study of music, although not necessarily planning a major or career in music. The cash prize is intended to facilitate the continued study of music. Based on an applicant’s written application, academic record, financial need, and references, up to five finalists will be chosen to audition. Each finalist will prepare two pieces, one piece composed prior to the 20th century and one piece composed in or after the 20th century. An applicant might consider checking the NYSMA catalog. Audition selections are to be performed with their own accompanist – taped accompaniments are not permitted. The scholarship winner will be asked to perform at our May 2019 concert, Sunday, May 19th with your own accompanist. Download the FCC Scholarship Application 2019 and Scholarship Consent Form today to apply! All written applications must be postmarked by February 1, 2019. The auditions for finalists will be held on Sunday, afternoon, April 7th. Times to be designated. In the event of inclement weather, an alternate date will be provided. You must provide an accompanist for the audition and for the May concert performance. Copies of your musical selections are required at the audition. 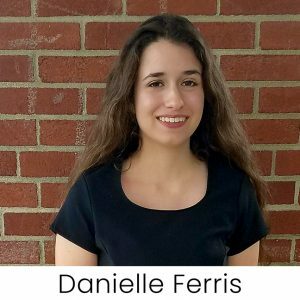 Danielle Ferris, who is a senior at Shaker high school, was chosen as the third recipient of the Neil Hook Music Scholarship. She has always loved singing from a very young age, and she began taking vocal lessons in 6th grade. Since then, she has participated in the NYSSMA Solo Festival every year. Her performance of “The Black Swan” last year earned her a spot in the All-State Mixed Chorus. Throughout her four years in high school, where she studied with Karen Amedio, Amy Kimbler and Tyler Thomas, she has been a member of Chorus, Orchestra, Select Chorus, Women’s Chorus, Women’s Barbershop Chorus, Jazz Ensemble, and the Theatre Department. An excellent student, Danielle is also very involved in volunteer work, specifically through The Church at Newtown Road. There she is the worship leader of the youth team. This summer Danielle will be going on a “missions trip” to England, as well as returning to the local sites she served last summer. In the fall, Danielle will begin her studies in Music Education at The Greatbatch School of Music at Houghton College, in hopes of one day becoming a music teacher. Justin Jasiewicz was chosen as the second Neil Hook Music Scholarship recipient. He maintained an excellent academic record at Loudonville Christian School. 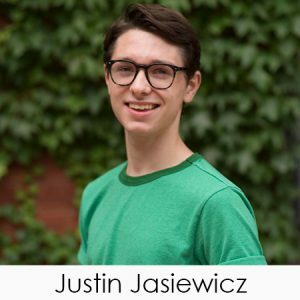 He participated in several vocal competitions, art song festivals, and over 20 theatrical productions in the capital region. He had leading roles in several of these productions and was cast as the leading role in Pippin at the Proctors Theater School of the Performing Arts. He has studied voice with Corine Salon, vocal coaching with Michael Clement, dance with Freddy Ramirez and acting with Lora Lee Icobelli. Justin plans to continue his education at the American Music and Dramatic Academy, in New York City. 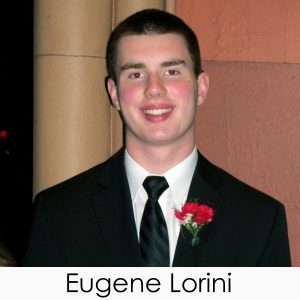 Eugene Lorini was chosen as the first Neil Hook Music Scholarship recipient. He began studying mallet instruments and snare drum in fourth grade, added piano in fifth grade, and by middle school had added all the other percussion instruments. As a Senior at Albany High School, he was a member of the Wind Ensemble, Select Choir, Jazz Ensemble, Men’s Choir, and the Pit Orchestra for the Theater Ensemble. He played in the Empire State Wind Orchestra and Youth Percussion Ensemble, and the College of Saint Rose Symphonic Band. In addition, Eugene gives piano lessons at the Albany Boy’s and Girl’s Club as part of the Rising Stars Program. He will attend the College of Saint Rose in the fall as a full-time music education major. Eugene’s career goal is to become a band teacher in public schools in the Capital Region. He lives in Albany with his parents and sister.